Diego Martin Central MP Darryl Smith. Darryl Smith, who only just yesterday was appointed Minister in the Ministry of Housing and Urban Development, has had his appointment revoked by Prime Minister Dr Keith Rowley. "Prime Minister Dr the Honourable Keith Rowley advised Her Excellency Paula-Mae Weekes, President of the Republic of Trinidad and Tobago in keeping with the provision of Section 3(9) of the Constitution of the Republic of Trinidad and Tobago, to revoke the appointment of Mr Darryl Smith as Minister in the Ministry of Housing and Urban Development," a release from the Office of the Prime Minister said. Smith, and his former ministry have been the subject of much discussion in the media after the Newsday first reported on March 25 that the Ministry of Sport had settled a wrongful termination suit for $150,000 with a former employee who had accused Smith of alleged sexual harassment. 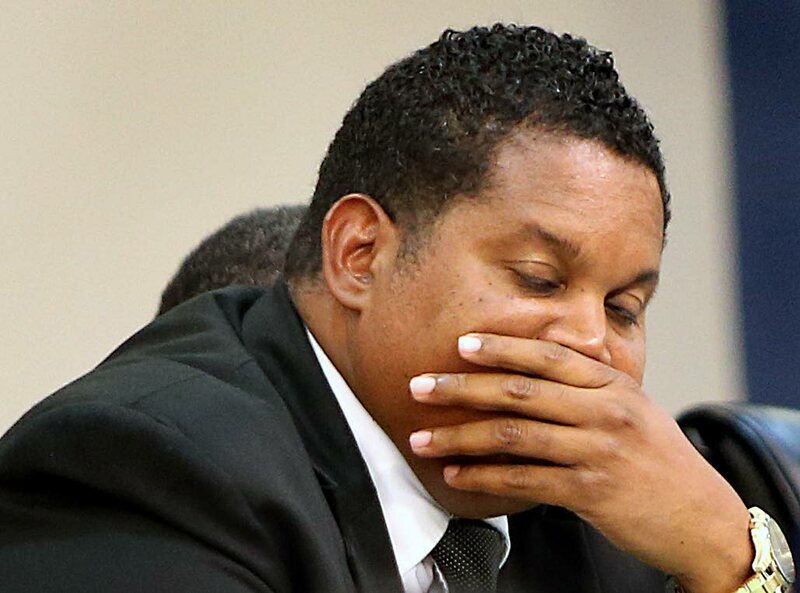 The OPM said Smith's dismissal came following a meeting between Rowley, Planning Minister Camille Robinson-Regis and Smith during which "new information came to the attention of the Prime Minister." The Prime Minister also announced a committee to "thoroughly review the circumstances surrounding the dismissal and payment of compensation to Ms Carrie-Ann Moreau at the Ministry of Sport and Youth Affairs." The committee will be chaired by former Permanent Secretary and Human Resource expert Jackie Wilson, and includes Folade Mutota of WINAD, and Attorney-at-Law Elaine Greene. The committee is expected to report in two weeks. "It is anticipated that all parties involved in any non-disclosure arrangement in this matter will lift such impediment so as to allow the fullest examination of the facts for the benefit of the public," OPM said. Reply to "Rowley fires Smith"